One vineyard to change and reactivate, hundreds of olive trees to recover and put back in production, an old home with natural cellar to make functioning… It’s in the two thousand, a number full of zero, the right time to start again. Salavatore was a music aficionado with thousand of vinyl and a lot of flights of fancy. He start to pick up olives and experiences, and follow suggestions, paths, education courses. In 2002, the first bottles of extra virgin Primalaterra. In the spring of 2003 hr reimpianta the vineyard, bringing on the side facing south and replacing barbera and sangiovese with Aglianico. In 2005, a grove of six acres partially damaged by fire is thickened with six hundred other plants raised from cuttings of the same fund. In 2006 he began the renovation of the building, an eighteenth century house where now we organize tastings, by reservation. In 2008, the first bottles of Aglianico Cilento Dop Primalaterra. In 2011 the renovation of the old natural cellar, in wood and stone, back to earth and face the north. 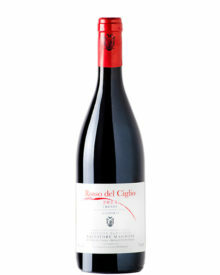 In 2013 to the Primalaterra, which now matures two years in wood, joins the Rosso del Ciglio, another Aglianico del Cilento Dop that goes out after about a year in smaller barrels.